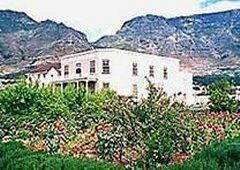 The house was built on Cape Town’s outer limits (thus the name of the street – buitenkant or outer edge) in the transitional area between town and the larger market garden farms of the upper part of the city. After Boers, the property passed to several other private citizens. In 1878, the house was bought by the Dutch Reformed Church and served as a teachers’ training college; the Cape Town High School occupied the property from 1925–1957; and in the early 1960s it was restored and converted into a gallery space. A second restoration took place in 1993, and more recently, disabled access facilities were installed. The house was built by a high-ranking Dutch VOC official, Willem Cornelis Boers, in 1777/8 as a townhouse for the VOC Fiscal. 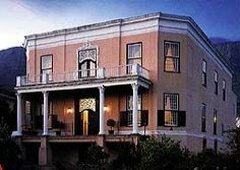 The imposing three-storey house is regarded as the finest surviving example of an 18th century Cape Dutch townhouse. The delicately carved Rococo styled fanlight above the main door has been ascribed to the German-born sculptor, Anton Anreith. 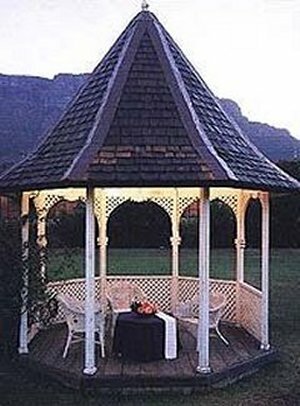 Declared a Heritage Site in 1940, it is set in period-styled garden that was recreated in 1986 from the original layout. The museum hosts a programme of mainly South African contemporary art shows. Certain rooms are hired out for a variety of functions and events.